The desire to live out in the country came to Heidi Rexin early. Growing up in Salem she wanted that kind of environment, so when she connected with an old school chum things fell into place. Doug had also grown up in Salem but his pathway then took him to California and the air force. When his parents decided to purchase some land in Willamina, he also started looking for some land to be near them. Doug tongue-in-cheek describes Twisted Timbers Farm as a wildlife refuge, but seriously explains that proper care of the land helps all the animal life there. 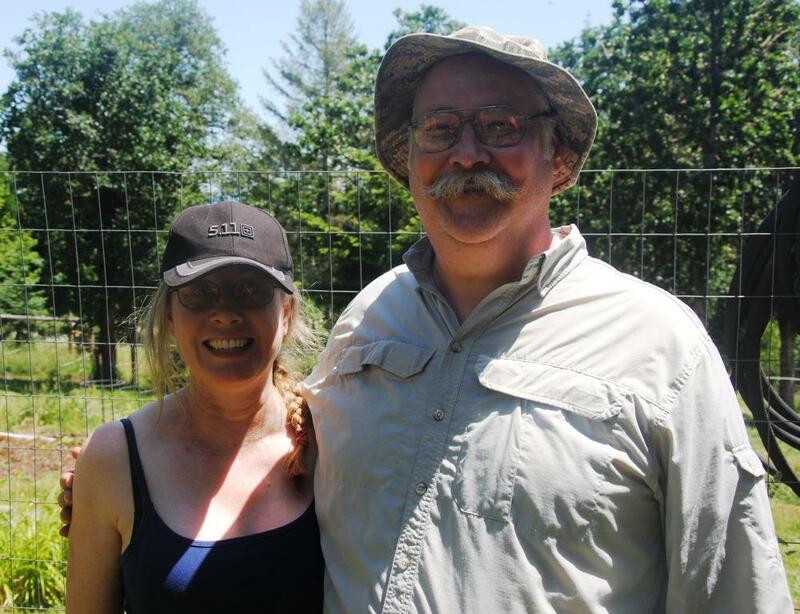 Doug had started building a log home on his 5 acres when Heidi joined him and she jokes it is almost finished now, about 20 years later. 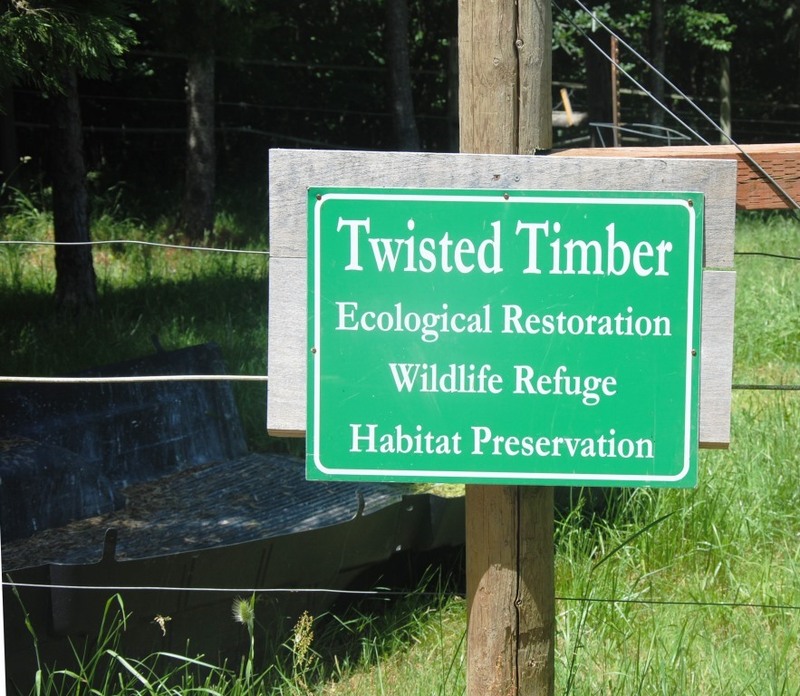 While the house is very livable, the projects around Twisted Timber Farm are ongoing. The initial challenge was clearing the acres of poison oak. 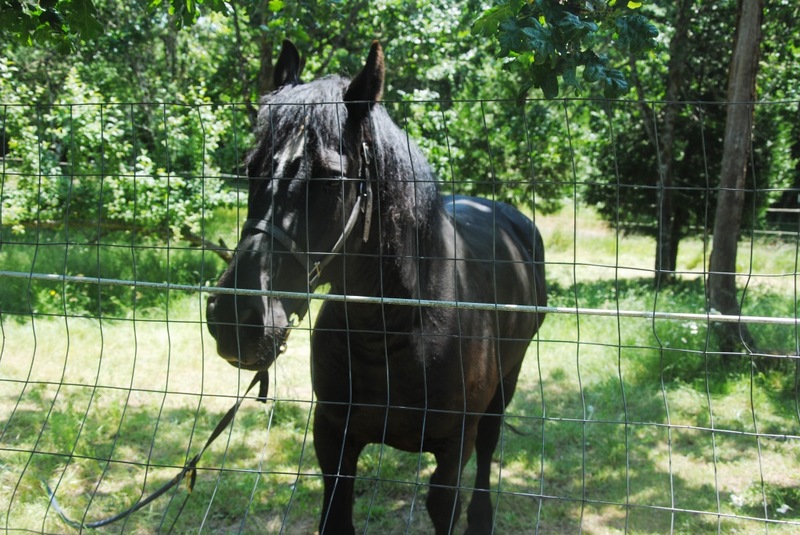 Doug planted a fruit orchard and also rescued several Percherons from Canada which he spent time training to work. Heidi was thrilled to be around horses and also has several miniatures. They have a small flock of chickens to provide eggs. 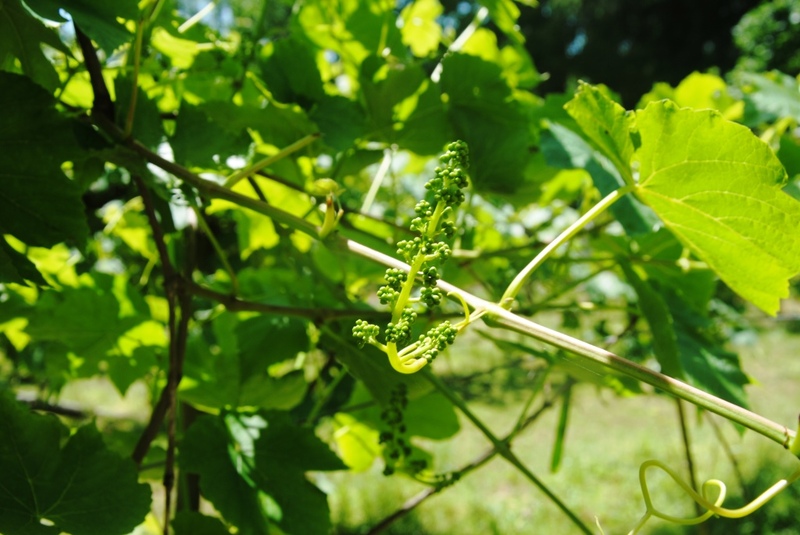 The Rexins also have a vegetable garden and table grapes for their own use. 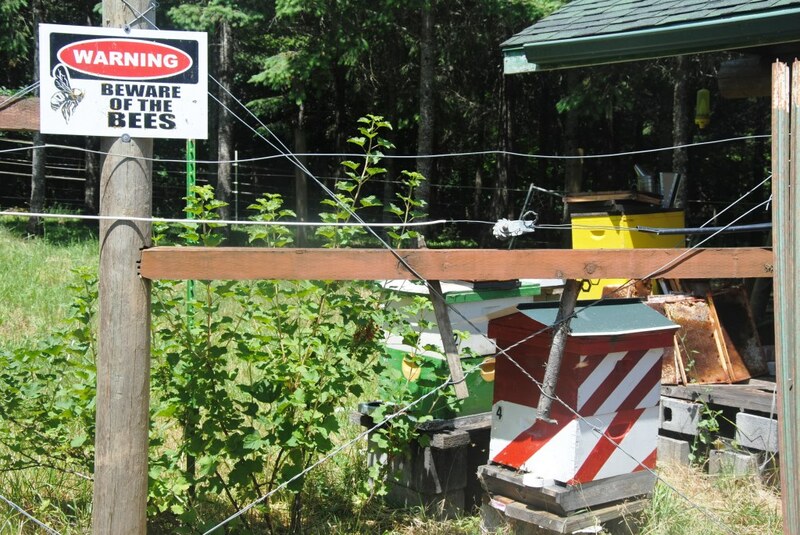 They have honey bees and sell that through Yamhill Valley Grown. If you are looking for a good source of local honey with good flavor as well as potential pollen allergy help, order some and it will be delivered to your door! 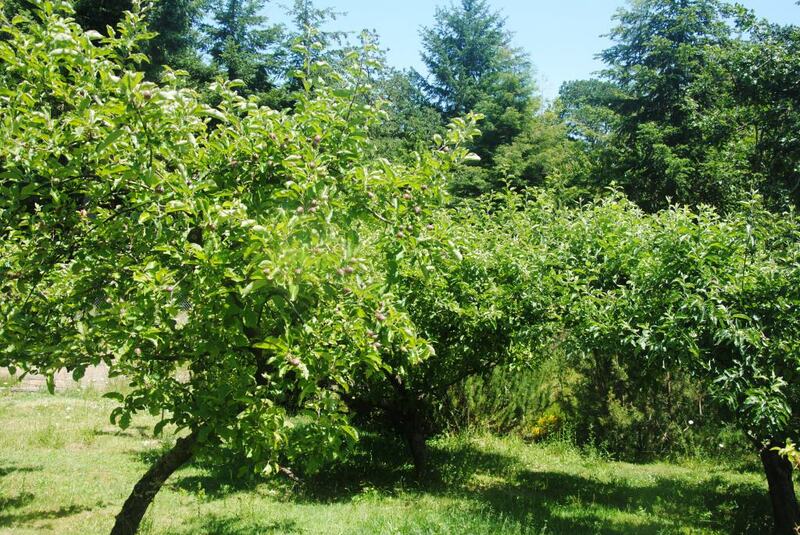 This entry was posted in bees, eggs, farm, honey, land use, Local food and tagged apples, bees, eggs, fruit, garden, grapes, honey, local farms, Local Food. Bookmark the permalink.